Elizabeth got her driver’s permit 15 minutes ago! She’s pretty excited! I really like this picture because if you look closely you can see a smiling, proud mommy in the mirror! Congratulations! You’ll be whizzing about in no time! I’m sure mom will be glad to have you doing errands…I know that it is a huge help to me! Congratulations Lizzy!! Way to go! 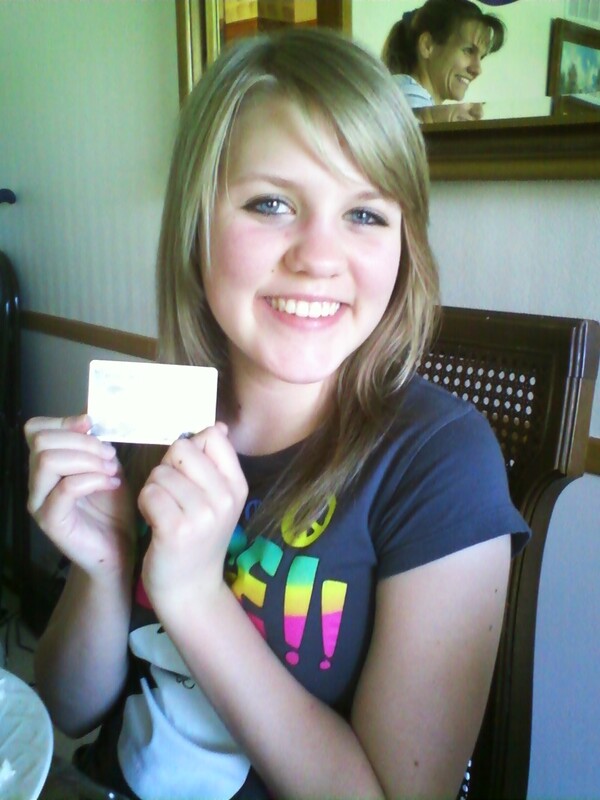 I remember when I first got my permit…it only took me two tries at the test. 😛 I’m so excited for you! Look out America! Here she comes! So glad that you got your permit. Is it Drivers license permit? Your mom is so happy and proud.